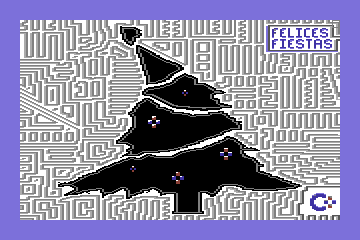 This is the famous SX-64 Christmas demo. It came on the 1541 Test Demo disk which was included with the Commodore SX-64 computer also known as the Commodore Executive 64. It's a perfect demo for the holiday season. It also shows off the SX-64 graphics and sound capabilities pretty nicely too.